You can know your overall health by assessing aspects in your body such as body weight, fat percentage, muscle mass, sugar level, body mass index (BMI) and so on. You should concentrate a bit on your BMI, know what it is, how it is calculated and what level of BMI is healthy. When you want to calculate BMI for females, you simply need to follow the same steps as BMI calculation for men is done—determining some numbers and use of an equation. Body mass index is a method used to determine the total amount of fat in your body and also assess whether you are overweight, underweight or within the normal weight range. When you wake up in the morning, empty your bowels and weigh yourself before eating or drinking anything. 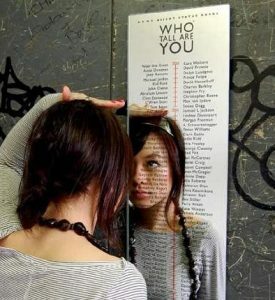 To get a more accurate reading, you can weigh yourself when you are naked. Important: Make sure you are not wearing your weighted vest when measuring your weight. Get someone to measure how tall you are or if you are alone, stand against a tall closet or cupboard. Then, using a pencil put a visible mark at the top of your head on the closer and then measure the distance in inches from the mark to the floor. You can use a workman’s tape to measure the distance. You can also calculate your body mass index online. The Centre for Disease Control has an online calculator where you enter your height and weight and get instant results of your body mass index. 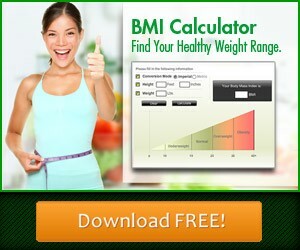 If you need to monitor your BMI on a regular basis, I came across a FREE BMI Toolbar that will automatically do everything for you. You can download the toolbar here or by clicking the image below. If your BMI is between 25 and 29.9, you are overweight. A BMI of 30 and above means you are obese. From 18.5 to 24.9 shows an average weight. Having BMI that is less than 18.5 means you are underweight. It is important to constantly calculate BMI for female so that you determine how you will live a healthy life. If you are fat, the more reason why you should find out your BMI and devise measures to curb rapid weight gain.